Cedar is often the wood of choice when building fences because of its durability and attractive look after years of weathering. Cedar naturally resists moisture and rot and also repels insects that normally consume wood products. 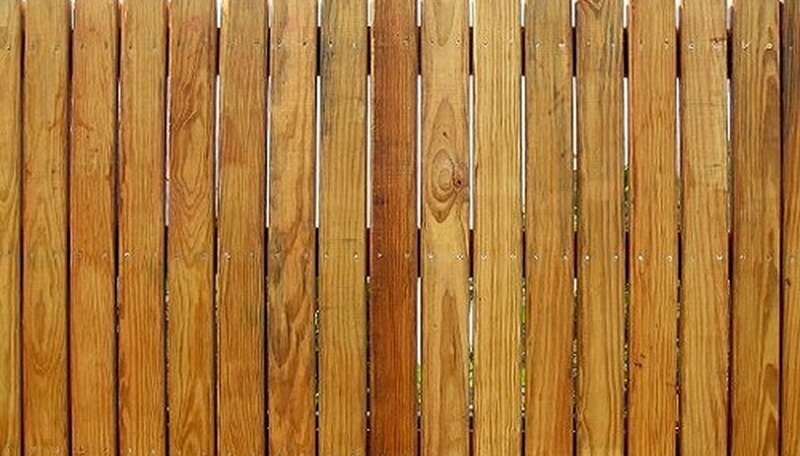 Before building your cedar fence, you have several choices to make. You must select the type of cedar you want to use. Plus, you need to decide how functional or stylish you want your cedar fence to be. A decorative scalloped cedar fence design. Two primary types of cedar are used for fencing---Northern White Cedar and Western Red Cedar. Both types of cedar come in a variety of sizes, grades and textures. The Western Red Cedar is a rusty red color and is often aromatic. If you do not stain, paint or seal the red cedar, it will weather to a silvery gray. The Northern White Cedar is a lighter color wood and can be used interchangeably with the red cedar. The white cedar can be stained, painted or sealed to customize its appearance. Both types of cedar are rot resistant and typically do not warp. Before you can carry out any of your cedar fence ideas, you need to choose the type of cedar grade you want. Clear grades are used for high-end applications when you want your wood to be free of knots and other imperfections. Taken from the heart of cedar trees, clear grades are often the most expensive. Architect knotty grades are mostly unblemished with few imperfections such as tight knots. Custom knotty cedar grades are not taken from the heart of the cedar and while they may have more knots than the architect grade, they are free of holes. Standard grades are structurally sound but will have imperfections such as knots and knotholes. Cedar fence boards come in a variety of shapes and sizes and many homeowners choose cedar pickets for construction. 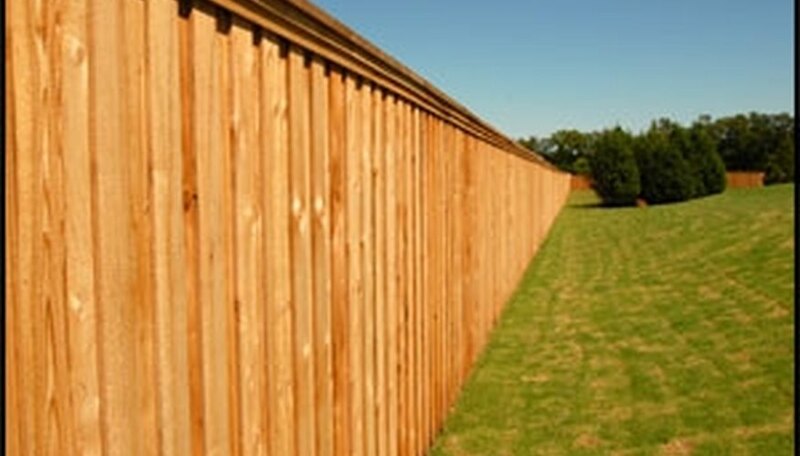 Many suburban homes build a stockade style fence, 6 to 8 feet in height, with dog-eared fence boards, mainly for enclosing a yard for privacy. However, homeowners aiming for aesthetic looks only may choose Gothic or spearhead shaped pickets, building their fence waist to chest height. 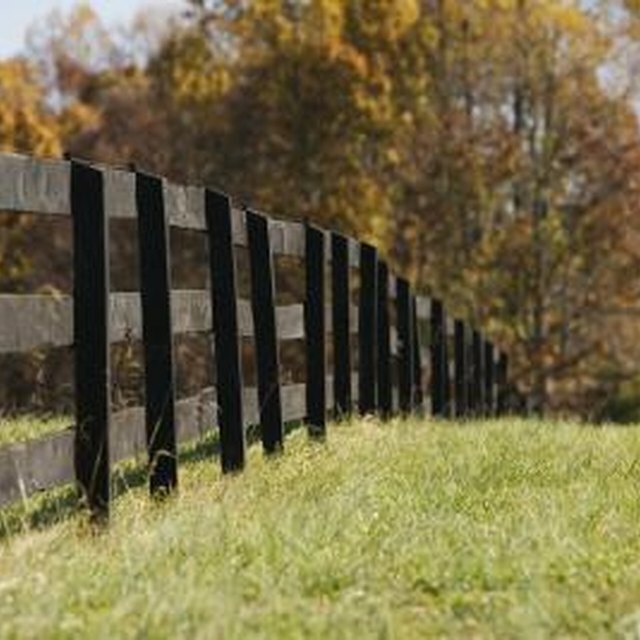 Rural homeowners may choose the split rail option which consists of cedar posts positioned a set distance apart with horizontal rails connecting each post together. While cedar is rot resistant, you can extend the life of your cedar fence and change its appearance by applying a stain, sealant or paint. Many cedar picket fences with the spearhead or Gothic shaped ends are painted to match the design style of the home. 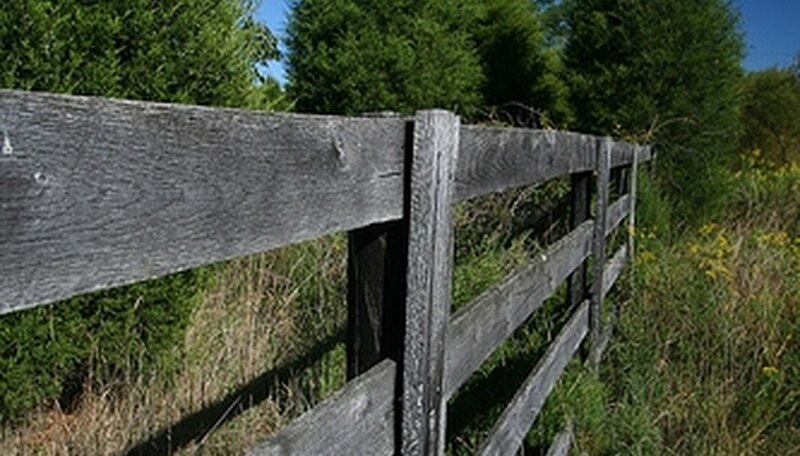 Stockade cedar fences often are sealed with a clear coat so that the characteristics of the wood are visible. Stains can be applied to cedar to keep the wood's appearance looking new rather than weathered. Tiana Mortimer has been Executive Director for a nonprofit boychoir organization since 1999 and a freelance writer since 2004. Her nonprofit work has been published in a variety of regional publications and she has ghostwritten hundred of articles for the internet. She holds a Bachelor of Business Administration degree in Operations Management and Marketing from the University of Houston. 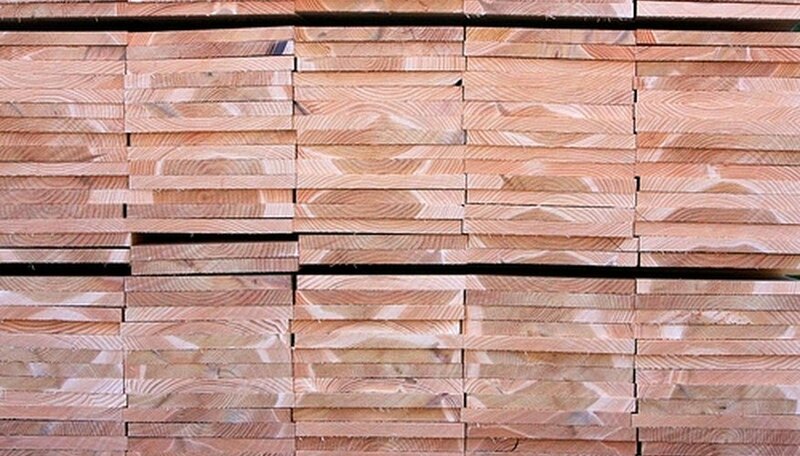 What Are Different Grades of Redwood Lumber?